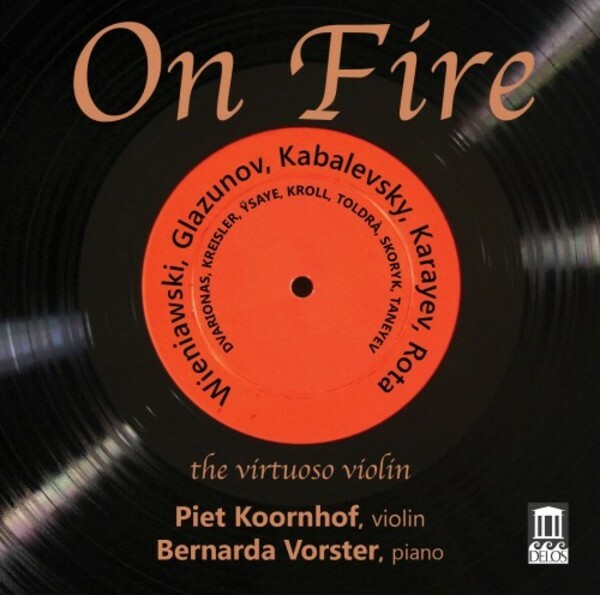 Distinguished South African violinist Piet Koornhof’s third recording for Delos highlights (in keeping with the title) virtuoso showpieces for his instrument, both wellknown and rare. In this 2-CD set, Piet tackles some of the most brilliant and technically challenging repertoire for violin ever written. We hear glittering masterpieces by fabled masters of the instrument: Henryk Wienawski, Fritz Kreisler, and Eugene Ÿsaye. On the more rarely performed side, we get highly worthwhile violin treasures by, among others, Glazunov, Kroll, Taneyev, Rota, and Karayev – as well as a particularly fascinating cycle by Eduard Toldrà. Piet’s jaw-dropping virtuosity and fiery interpretations are sensitively supported by his compatriot, pianist Bernarda Vorster. Together they have crafted a beautifully performed program that will appeal in particular to violinists and fans of the instrument, as well as an awe-inspiring listening experience for the rest of us.